Presentation is crucial to all forms of communication most of all when dealing with written communication. Unlike information conveyed personally, a written message is static. It must speak for itself. Expert communicators know that superb content is not enough. They know that to achieve truly effective communication one must pay equal attention to how the content is presented. Contrarily, untrained communicators don’t realize that style can, and often does, override substance and corporate trash-cans nationwide brim with the ridiculed remains of their ransom-note-like resumes. So how can you enhance the quality of your presentation? Well, just like Coach used to tell you put in your mouthpiece and start with the basics. And basically, the fundamental element of written communication is font. But what exactly, you might ask, is font? Put technically, font is the interface between your ideas and your readers. Put simply, font is the style of your typeface. Is it big, bold, crisp, underlined, or colored? Is it spaced well? Is it even legible? These are all important questions, questions that any conscientious document creator must answer and act on. But why are font decisions so critical? Font is your first line of defense against reader apathy and your first chance to really capture an audience, create a positive and lasting impression, and encourage continued interest. Remember, though, while font can (and should) be used for good, it can also be used for bad…impressions that is. Every day, writers discover that font choice is an excellent opportunity to make a mockery of their work. This in mind, effective font should be chosen both carefully and strategically. 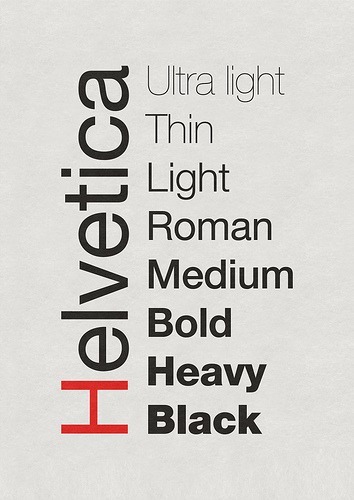 To assist, presented here is a brief digest of useful font guidelines. Simplicity is a virtue in writing. Keep this in mind when choosing a font or font mix. Remember, your font is supposed to enhance your message, not sabotage it. Unless it is truly warranted, tend toward simple, inconspicuous fonts like Times New Roman or Arial. Also, these fonts, among others, are TrueType this means that what you see on the screen is exactly what you will see on the page. Font is a privilege, not a right. So don’t abuse it by using three or four different styles in the same document. As a rule, never use more than two fonts in the same piece. Like the saying goes: three fonts is a crowd on your reader’s attention. So once you choose a font, be committed and use it throughout. Your readers will thank you.